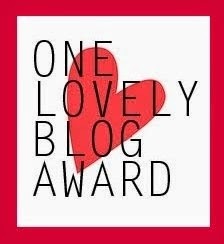 I mentioned a couple of weeks ago that I’d been nominated for the One Lovely Blog award by Deb from A Pocket Full of Family Memories, and Alona from Lone Tester. While I’ve been away I’ve again been awarded the blog by Niki Marie of My People in History and Helen Smith from who kindly mentioned my 2012 Beyond the Internet series. It’s such a privilege when readers enjoy what we’ve written and think of us when awards are being handed out. Thank you to Deb, Alona, Niki Marie and Helen! In my previous response I alluded to a long discussion that had gone on some years ago and which I’d had on my blog tabs until recently regarding my approach to awards, and the rationale behind it. Instead of nominating other blogs I referred my readers to the list of some of the blogs I like to read (I have hundreds in my Feedly reader). Thank the person that nominated you and link back to that blog. Share seven things about yourself – see below. Nominate 15 bloggers you admire –or as many as you can think of!. I hope you enjoy the reading opportunities – I think each of these blogs is One Lovely Blog irrespective of whether they take up the award. I hope you make some new discoveries among them. 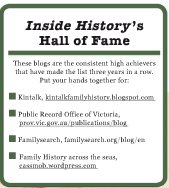 I’m delighted to have been nominated again for the Blog of the Year 2012 Award by Aillin from Australian Genealogy Journeys and also Helen who writes From Helen V Smith’s Keyboard. 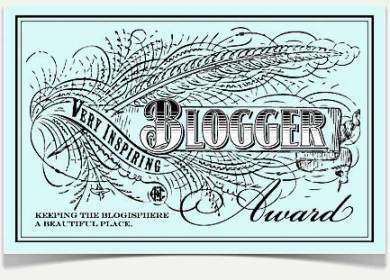 It’s been very special to be nominated by bloggers whose work I really enjoy, not just Aillin and Helen but also Crissouli from The ‘Back Fence’ of Genealogy, Susan on Family History Fun, and Alona from Lone Tester HQ. As I’ve nominated so many bloggers for awards in the past week I’ve decided not to offer more names. Instead I refer you once again to my blog links page where you’ll find many of the blogs I follow (I do need to update it though). When I made the first nominations for the award a week ago, I was concerned at offending the many bloggers whose posts I enjoy so much. What I didn’t know was that there was a negative attached to making these awards. Aillin has written a warning post here in which she has provided a linked story which warns on the impact of blog awards on your stats and Google searches to your blog. So if I’ve played havoc with your search engines and stats, I do apologise…it had seemed like a nice way to give some recommendations to my blogging colleagues. I’ll certainly be far more cautious in the future…live and learn. Caroline Pointer has very recently posted an interesting post at her Blogging Genealogy blog regarding the negative hidden search engine optimisation effects of blog awards. I’d like to thank Holly from Writing Straight for this award which she gave me ages ago, but life got in the way and I forgot to respond. Ooops, sorry, that’s not too sweet. So since we’re in award mode at present I thought I’d just do this for fun and I’d use it to tell you about some non-genie blogs I follow (even though some are also genies). To make up for my tardiness I’m throwing in a few extra. Did I mention my great grandfather Melvin was a pastry cook and confectioner? Cookie or cake? Cake! Orange Coconut, Chocolate Rum…. Chocolate or Vanilla? No contest – chocolate. Vanilla doesn’t do it for me. When do you crave sweet things the most? All the time but especially when I have a bad headache. If you had a sweet nickname, what would it be? Honey? 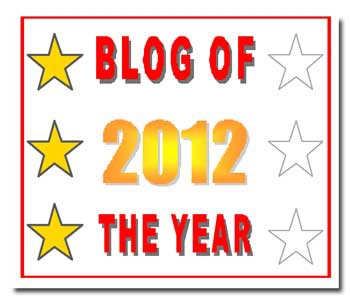 I’ve been very privileged to be nominated twice for the Blog of the Year Award 2012, by Crissouli on The ‘Back Fence’ of Genealogy and Susan on Family History Fun, both blogs which I love to read for every post. (This morning I was delighted to learn that Alona from Lone Tester HQ has also nominated me). The most special aspect of the award is that it’s been given by my peers and it’s the icing on the blogging cake. Just knowing that people make the time to read what I write, and to comment on it, is so fantastic. The interaction and comments back and forward make for a dynamic genealogy community, and friends who quickly cease to seem at all “virtual”. You may have read my initial post about this award in which I took the plunge and nominated five blogs for the award. 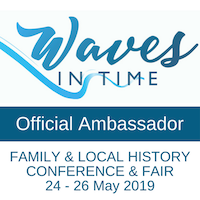 Receiving it myself gives me the bonus of adding to the list, and this time I want to recognise those who inspire our genealogy community in different ways. Michele Goodrum from The Turning of Generations for her 21st Century Organised Family Historian (21COFH). Michele also completed the 365 day photo challenge! Julie from Anglers Rest for the many challenges and diverse posts and topics she shares with us all. Lorine from Olive Tree Genealogy for all those wonderful Sharing Memories prompts that help us write our own, or our family’s, stories; and also for the honesty of her own stories. Arlee from Wrote by Rote for his thoughtful posts on memoir and especially for co-coordinating the huge A to Z challenge in April (are you going to join in this year? If so, a top tip: start writing early). Alona from Lone Tester HQ for her innovative Family History through the Alphabet challenge which produced such great reads from everyone (who would have thought we could come up with so many options). Merron from Western Districts Families for her commitment to documenting the pioneers from the western districts of Victoria, Australia, not just her own families. The narrator for Essex Voices Past for her skilled writing on medieval English history in Essex. If you’ve managed to get your family back this far, or want to learn about the types of medieval records that might be available, you can’t go past this blog. I could go on and on, but look at my original Blog of the Year post, and the Award to my wonderfully supportive and prolific commenters and readers, and you’ll see just some of the people who I read regularly. Don’t forget to check out the nominees on the other Blog Awards as well. A good reader …. goes to the heart of the story, supporting the writer with comments and encouragement. A dialogue is entered into as the writer responds to the comments and from this community and confidence grow. Based on this sentence I decided to make the award to those who’ve commented most regularly on my blog posts and entered into discussions. Luckily I had already nominated four of my most frequent commenters in my Blog of the Year 2012 Award last week (see here), so I’ve not repeated them here. I thank Catherine, Crissouli, Jennifer and Kristin for their continuous and enthusiastic support. My plan had been to have a “Top 10” but in the end it’s a “Top 11” based on comment frequency and numbers. Thank you to all of you for your support, not just to me, but also to so many others – I see your names again and again on the blogs I also follow. Your own blog posts inspire and educate us. Thank you for sharing your personal and family stories with us all. Julie from Anglers Rest: for her constant support of many blogs, not just mine, but also for the diversity and interest of her posts, sharing challenges and themes with all of us….Julie really is a team player. Her most recent challenge is the February Photo Collage Festival…why not join us? Joan from Roots’n’Leaves has been commenting on my blog for a very long time, and I love her Scottish influences. Joan has been dedicatedly transcribing her ancestor’s journal and letters. Susan from Family History Fun was especially supportive with my Beyond the Internet series including some from the Hawick Heritage Hub on the Scottish border. Susan writes some lovely posts about her families, with gorgeous photos, postcards and cards. Sheryl from A Hundred Years Ago is another keen commenter. I really admire her persistence in posting daily stories based on her grandmother’s diary. She finds such unusual sources to illustrate the stories. Prue from Becoming Prue shares an interest in German family history research with me and comments regularly on my posts. Judy from Genealogy Leftovers and of course Genealogists for Families has been sharing her own knowledge for years in person, on the internet and in books. Her initiative in establishing GFF has led to $40,025 worth of loans being made, and created a true interest in helping others. Frances from A Rebel Hand supports many bloggers with her comments and also writes a very intriguing blog about her Irish ancestor Thomas Delaney and other family history stories. Fi from Dance Skeletons pretty much always makes me laugh, with her comments or her own posts, even though the content is serious and her discoveries interesting. Jill from Geniaus comments regularly on my posts, as she does for so many others. She is the linchpin for Aussie geneabloggers. Angela from A Voice for the Silver Irish posts about matters Irish, especially pertaining to history, and comments regularly on other blogs including mine. Aillin from Australian Genealogy Journeys is another supportive commenter. I keep wondering if we’ll one day find a link between her Irish and mine, especially those O’Briens. Her Motivation Monday posts have impressed me no end! Kerryn from Ancestor Chasing has been a regular commenter on my blog and her own blog has lots of interesting family stories. 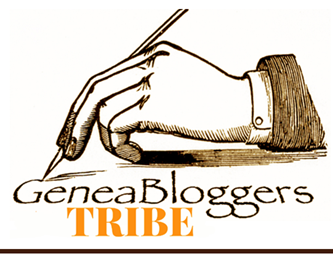 Hmm, have you ever noticed the preponderance of women in the geneablogger community? Them’s the facts people, my commenters are mostly women, especially my “regulars”. We all have blogs that we love to read and like many of us I keep the blogs I follow in Google Reader…about 150 of them. Fifty of them I classify as my “must reads” and on which I try to comment fairly regularly. I read about the Blog of the Year 2012 Award on The Thought Palette blog a few weeks ago and have been thinking about it ever since. So before we leave 2012 too far behind, I’ve worked up my courage to nominate five of my favourite genealogy blogs from 2012. When I decided to choose from all those I love to read, whose writers offer me new ideas, great stories or images, themes, memes, learning opportunities or adventures, I felt like I was “defriending” my other genimates….rest assured I value each and every one of you. Jennifer from On a Flesh & Bone Foundation. I’ve been reading Jennifer’s posts for a couple of years and never been disappointed in a single one. Each post is carefully crafted, well written, sometimes emotional and always evocative. Catherine from Seeking Susan~Meeting Marie~Finding Family. Catherine has reduced me to tears more than once this year which I think ensures her position here. I also love her use of colloquial Australian expressions. Kristin from Finding Eliza. Kristin’s posts are always inspiring as are her family photo collages, her life story, and that of her ancestors. James Tanner’s Genealogy’s Star blog certainly ends up with lots of stars in my Google Reader as I flag posts to revisit for further thought. Crissouli has several blogs but it’s her own poetry that so often captures my imagination as well as her commitment to County Clare research, a topic near to my heart. Please grab the copy of this image from the linked page above, and proudly add it to your blog. To all my geneablogging buddies, I value your posts and your inspiration every day…you’re all stars in my eyes! You’ve also given me a genea-community around the world so that it no longer feels isolating to be stuck away in Australia’s tropical north. THANK YOU ONE & ALL. You can see many of my favourite family history blogs on my blog links page. If there are any you haven’t come across why not have a look. 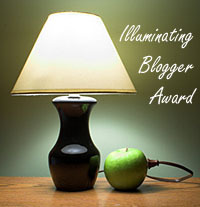 Only a week or so ago I posted that Julie of Anglers Rest blog had nominated Family History Across the Seas for an Illuminating Blogger Award, initiated by the FoodStories blog. 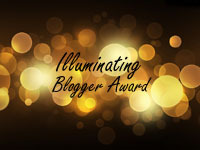 Since then the Award has been circulating among many of my favourite blogs and I’ve been thrilled to receive further nominations from geneabloggers Prue at Becoming Prue, Helen at Helen V Smith’s Keyboard, Shauna from Diary of Australian Genealogist, and Jennifer from Tracking Down the Family. Each and every one of these nominations is precious – we spend so much time crafting our stories and taking a risk “putting them out there”, that it’s such a pleasure to know others enjoy them and find them helpful in some way. I am obsessive about family history and have become equally obsessive about blogging. What I’ve gained from it is the wonderful camaraderie of an equally keen group of geneabloggers. In some ways I still can’t believe not only that people read my blog, but that I now have a community of virtual friends around the world who share my obsessions. I no longer feel isolated stuck away at the top of Australia. 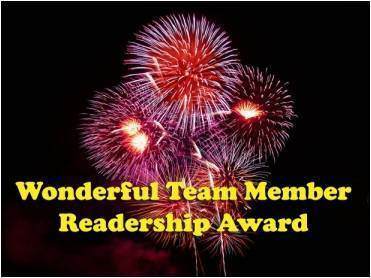 So to all my readers and to all those who nominated my blog, a huge THANK YOU! I listed six blogs for the Award last week but to keep it to that limit there were any number I couldn’t include but who I had mentioned previously in other recommendations. Luckily many of those have been nominated by other awardees, which simply shows how much value we all place on this community of geneabloggers. I’d also like to acknowledge Geniaus’s continuing support to new bloggers and to Carole Riley, who gave me so much encouragement when I started out a couple of years ago. Like Geniaus I’ve decided not to add a further list today, but again do please look at my blog list which includes so many stars whose writing I love to read. I do try to keep it up to date, but sometimes I forget as I have nearly 150 blogs on my Google Reader subscription. By the way, you too can nominate a blog you love for the Award – just go to the website to find out the rules. In late June while I was away travelling, Julie from Anglers Rest nominated my blog for the Illuminating Blogger Award, initiated by the FoodStories blog. One of the most amazing things about blogging is learning about and from others, making virtual friends and sharing comments over our posts. 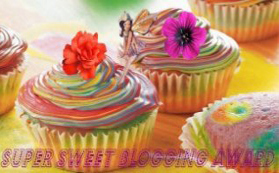 Thank you Julie for including me in your list of selected blogs. One small fact about me: while family history is now my passion, I once wanted to be a marine biologist. As They Were for bringing Irish researchers together and keeping everyone in the loop with what’s happening in the Irish research world. Becoming Prue for her interesting stories on some unusual and talented ancestors. Family History Fun for personal stories and informative posts on Scottish research possibilities. Finding Eliza for teaching me so much about African American heritage and family history research as well as personal life stories. Roots’n’Leaves for teasing out the local history stories as well as the family stories from her ancestor’s diaries. Seeking Susan ~ Meeting Marie ~Finding Family for descriptive posts which tug at the heart strings. As always I could nominate so many more, but as hazardous as this task is, I’ll stick with this half dozen. You can see my list of blogs I love to follow here, some of whom I’ve nominated in past awards. Also if you’ve never heard of Genealogists for Families please do have a look at the blog and the link on Kiva. This group has grown enormously in less than 12 months and is doing a world of good to help less advantaged families help themselves. 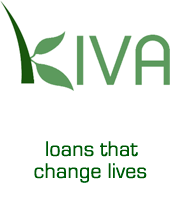 Our small loans are repaid progressively releasing funds to make further loans. Why not join us? Your small loan can make a big difference!